With summer here but always hiding behind the clouds at some point, I find that I need to layer up each day to deal with all great British weather eventualities. 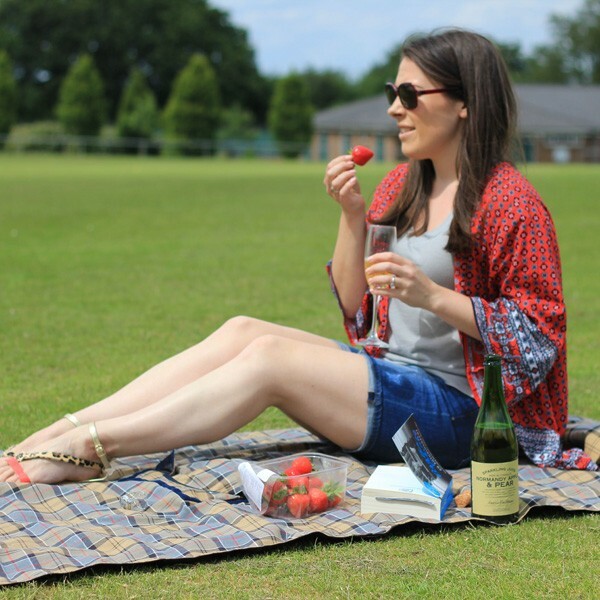 The kimono is great for this and a key trend piece this season. Now I’m not normally a floaty, waspish fashion piece kind of a girl. I’m normally into my structured blazers, skinny fit jeans and clear lines. 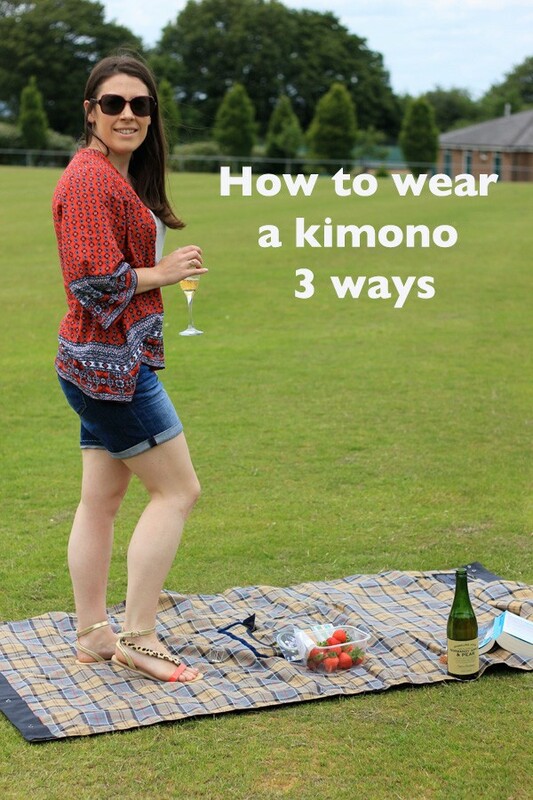 But the kimono is a winner this season. A great way to bring print into your wardrobe without being too much and perfect for those summer days where you want to have a little covering without having to grab a sweater. New Look have a great range of kimonos which I have browsed here and I got to test out this Red Ethnic Print Kimono* recently. The aim was to style in three ways and it really is a great throw on piece that can make can make an outfit. I braved the sunshine and promise of 20 degree heat for a little breather in the park. 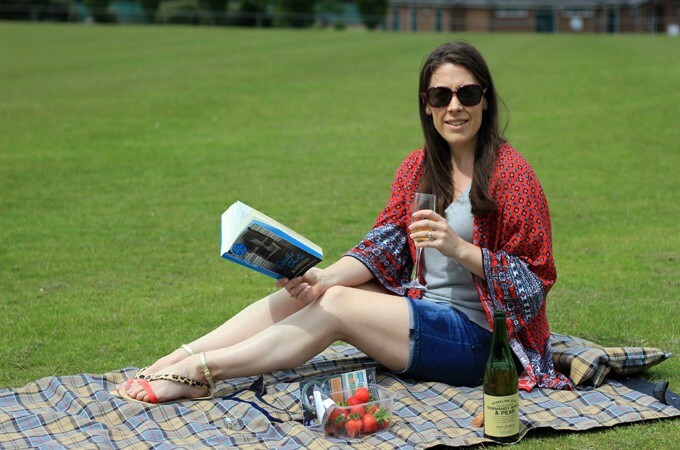 Taking my Barbour picnic blanket, fresh strawberries and alcohol free fizz; I headed to the recreation ground with my current great read; Agatha Christie’s autobiography. Luckily the sun was out most of the time but the wind did pick up so it was nice to have some coverage over my shoulders. I love how this ethnic print works well with most things I own. I’m not normally a massive fan of red but it works this summer and I’m stepping outside my comfort zone. For the day job the kimono means I can be cool in the office when the day gets humid, wearing a summery vest top but be covered up and work appropriate. I like how the ethnic print works with the spots on my trousers without being too much. Be brave and mix your prints this season. Finally I styled the red ethnic print kimono for date night. We were heading to a Mexican restaurant so I thought this was a great way to add a little colour and texture to my evening’s outfit. 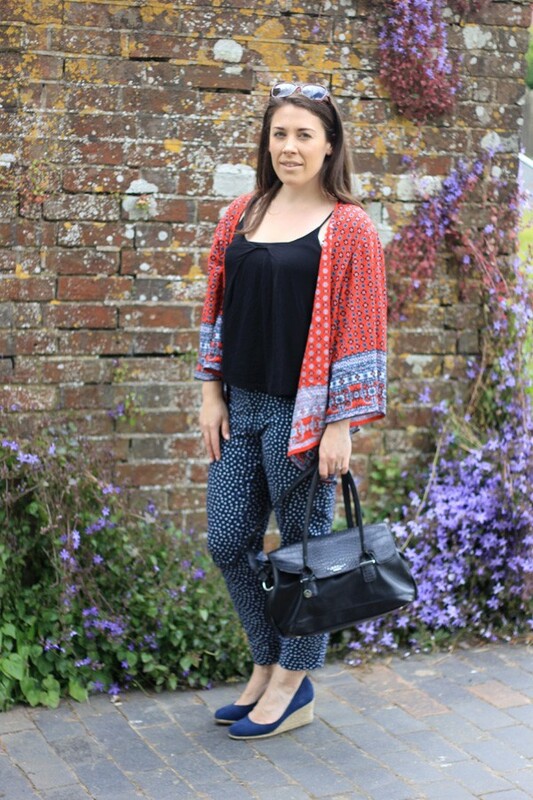 I kept a clean line and neutral pallet with a black top and skinny jeans and allowed the kimono to do the talking. A great date night outfit. 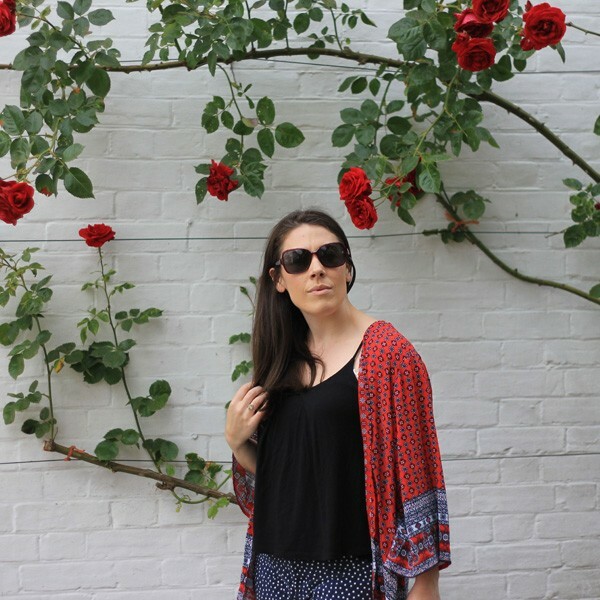 New Look have a great range of kimonos available here; ranging from longline and short, fringed or embroidered, detailed print or colour blocked; there’s one for everyone.